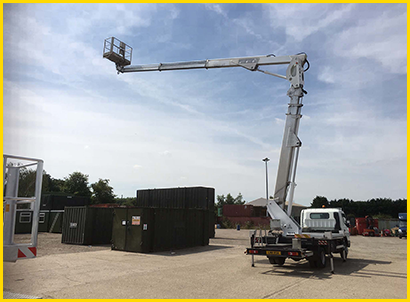 Our vehicle-mounted platform is well suited to outdoor jobs and can rotate 90 degrees each way, making it ideal for work that requires operators to manoeuvre around large obstacles like trees and lampposts, or in between buildings. The hydraulic platform offers proportional controls from the bucket and ground, along with hydraulic levelling and 180-degree cage rotation on a two-man cage. This machine is ideal for tree work, working within limited spaces or over and between obstacles.